45-year Foundation study results in vital solutions to combat fundamental faults in mental health treatment. People suffering from serious emotional problems such as severe anxiety, depression, or phobias face enormous obstacles to obtain effective treatment that produces lasting success. However, even persons with less serious conditions rarely get the help they require. A new volume based on over 45 years of intensive and unique research at the American Mental Health Foundation, AMHF, reveals that there is scarcely an area in the field of psychotherapy and psychoanalysis that is not beset by very serious problems, causing a marked decline in the quality of treatment for most patients. 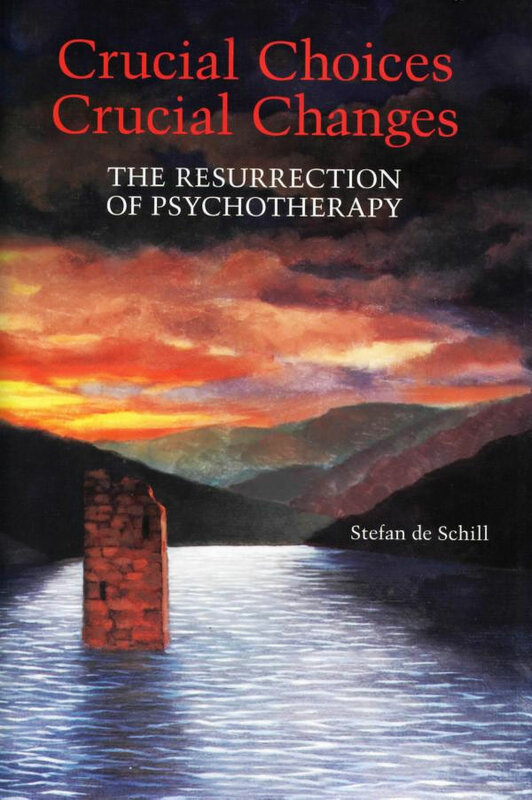 Crucial Choices—Crucial Changes: The Resurrection of Psychotherapy by Stefan de Schill, the Foundation’s director of research for almost sixty years, carefully examines the reasons for such a serious situation, and then proceeds to present necessary solutions to improve psychotherapy training and practice. The report emphasizes that much of the existing suffering of persons afflicted by emotional illness is needless. The redress does not depend on the discovery of new psychotherapeutic remedies. Many current approaches and practices in the mental health field are inadequate. Crucial Choices—Crucial Changes: The Resurrection of Psychotherapy describes a number of most valuable treatment approaches in psychotherapy, many of which were developed at the Foundation. Thus, the necessary knowledge that would result in a far better quality of treatment already exists. Unfortunately, much of this knowledge is not found in the various modalities of education and training afforded the mental health professional. One of the most urgent questions examined and clarified is: What are the obstacles to the proper dissemination and administration of this essential knowledge? As it turns out, the number of the impediments are relatively few. Yet, the obstacles are formidable. In general, people do not realize the extent of suffering the severely emotionally ill are subject to: they experience some of the worst torments human beings can endure. Exiles from all happiness, they partake only of life’s sorrows and miseries. It is the failure of the mental health profession to alleviate the ordeal of human beings destroyed by these forces from within. Dr. de Schill’s long-term intensive studies, described in Crucial Choices—Crucial Changes, pinpoint the reasons for the all-too-frequent poor quality of treatment. Only a relatively small number of practitioners possess the necessary expertise in the practice of psychotherapy and psychoanalysis. This situation is to a great extent due to the fact that these professionals had to spend years in academic studies in medicine, or psychology, or social work, disciplines little related to psychotherapy. After that, a number of our present-day practitioners did elect to receive specialized psychotherapy training, which is often ruefully inadequate. Once it was considered to be an indisputable fact that to remedy emotional illness a patient would require intensive and prolonged treatment by a well-trained and, one hopes, gifted psychotherapist. The term intensive meant three or more sessions per week. While in recent decades statistically the number of psychotherapy patients has not decreased, the amount of treatment time alloted to each patient has dropped precipitously. The percentage of patients who see a therapist for more than a total of 20 sessions is presently about 10 percent. Slightly over 33 percent attend only one or two sessions. Even though it runs counter to present-day professional parlance, one cannot claim that a person who receives twenty sessions or fewer has actually been in psychotherapy. Here a sad example of the trend to extremely restrict the treatment time offered: the National Comorbidity Study on Depression, sponsored by the National Institutes of Health, accepts therapy as “adequate treatment” if it consists of eight half-hour sessions of counseling with a mental health professional or treatment with anti-depressant drugs for at least 30 days, combined with four visits to a doctor. It is obvious that such limited “treatment,” while gratifying to the insurance companies, will do nothing for the vast majority of patients. And even though the Comorbidity Study’s requirements for treatment to qualify to be considered as “adequate treatment” are so minimal, the study states that almost 60% of people treated do not receive even this much help. The American Mental Health Foundation, whose views of what should be considered adequate treatment are far more demanding, asserts that less than 1% of the emotionally ill obtain valid therapy bringing about lasting results. For more on our efforts to counter the epidemic of easy-to-learn and easy-to-practice treatment forms see Section 12. Obstacles to Progress: Beneficiaries of the Status Quo. The needs of the emotionally ill for intensive treatment have not changed in all these times. What has changed are the financial policies of the treatment provider. In the first five decades or so of psychotherapy, it was far more common for the patient to pay for his or her treatment. As a matter of fact, there were quite a number of analysts who would refuse to accept a patient who would not pay for himself or herself since the analyst feared that the patient would otherwise not be sufficiently motivated. The whole situation changed, however, when insurance companies and other third-party payers entered the picture. After a period of relative generosity, the third-party payers became alarmed at the mounting costs and, increasingly, limited the extent and the nature of the treatment a patient could receive. Since many patients cannot afford intensive treatment, the overall quality of treatment has tended to decline considerably. As a result, psychotherapeutic practice, writing and teaching are now often pervaded by a wide use of facile, easy-to-learn, and easy-to-practice but inadequate treatment methods. to develop intensive treatment methods that are suitable for a majority of patients and, at the same time, are affordable to them. The Foundation has been successful in these endeavors. The inadequacy of procedures for selecting candidates for training in psychotherapy. Today, practically any person capable of passing academic courses in medicine, psychology, or social work can obtain admittance to training in psychotherapy without possessing even a minimal aptitude for this profession. Crucial Choices—Crucial Changes proposes improved methods for the selection of candidates as well as stresses the need for the establishment of a new special curriculum for psychotherapy, avoiding years of studies in unrelated disciplines. So far, unfortunately, such proposals have met with insurmountable opposition from the vested professional interests that benefit from the status quo. One such project, undertaken at the Berkeley and San Francisco branches of the University of California, was brought to collapse. The indispensable prerequisites are the sensitivity and talent of the therapist. In order to obtain the necessary expertise, a responsible and conscientious psychotherapist should strive to achieve competence in understanding the workings of the unconscious, by properly handling feelings and dreams, using the transferences, understanding repressions and defenses, working through resistances, obtaining relief for the patient from an overly strict superego, exploring childhood events and their links to the psychic structure and its functioning within the patient, reconstructing capably in their own minds a realistic and detailed three-dimensional picture of each patient’s inner universe, and, having done all that, formulating highly individualized temporary hypotheses for the patient. The work needed to accomplish those tasks, if done conscientously, is formidable, and no one can do it perfectly. The carefully worked-out solutions for the problems mentioned are presented in the volume. At the same time, the proposals described therein would immensely help the great number of dedicated psychotherapy students and professionals who would eagerly welcome the opportunity to acquire the knowledge essential for the proper practice of this craft. To bring about the necessary elimination of approaches that, by documented and responsible inquiry, have been shown ineffective or even destructive to patients. To implement procedures that will result in major and decisive improvements. These solutions are feasible and substantive. The goal of Crucial Choices – Crucial Changes is preeminently constructive. One of the most pressing problems in mental health is the need for affordable, effective treatment that would allow even modest wage earners to obtain such therapy without undue sacrifice. To answer this need, the Foundation developed a special form of extended, intensive group psychotherapy. It is related in a separate section of the book: The First Intensive, Affordable Treatment Method. The necessity for fundamental improvement is overwhelming. Many of the changes suggested will require much time to be instituted. Thus, the book can be considered as a long-term program for psychotherapy and mental health.